Make decorating your party table effortless with these gorgeous table scatters from our Colour Block Marble range. 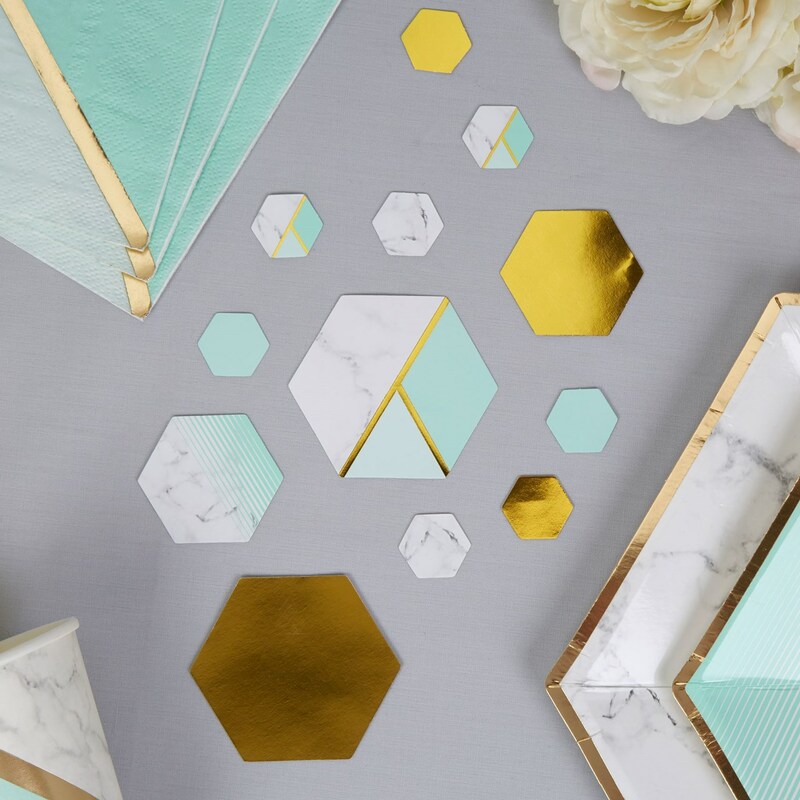 Containing 100 pieces, the pack contains a mix of hexagonal designs in marble, gold, mint green and a colour combination. In various sizes, the scatters offer an easy way to add some glamour to your party venue. Each pack contains 100 pieces of Table Scatter.